The emerging technology of flexible circuits and flexible electronics allows us to think creatively about products that can bend, fold, stretch, or roll without incurring damage. It also means we can fit the same functionality into tighter and more complicated spaces, and still achieve the same, if not better, level of performance. Additionally, flexible circuits open up a whole need range of low production costs, lower energy consumption, and more environmentally friendly production. With flexible circuits, there are many functionality options that more traditional silicon-based circuits are unable to perform. Primarily these functions come from of a flexible circuit’s ability to bend, stretch, roll, and fold. Flexible circuits also offer space savings and alleviate production constraints where rigid circuits or hand wiring simply cannot compete. Where a rigid board might leave unused space within a product’s housing, a flexible circuit can be bent or rolled to fill available space, leaving less wasted area. An additional function with huge potential is that a flexible circuit can also be designed to perform multiple functions. As an example, this could include speakers, batteries, displays, and microphones all within the same flexible circuit. Not only is this further space savings, but it cuts down on the overall number of materials and components needed to produce the same functionality. The qualities of a flexible circuit also perform well in extreme environments. Wide temperature fluctuations can be handled with better heat dissipation than with printed circuits. Flexible circuit boards also handle chemical, ultraviolet, and radiation exposure better than their more rigid cousins. Smaller, lighter electronics in extreme weather can also prove beneficial. These functions open up options in medical applications, military applications, smart textiles, flexible batteries, lighting displays, and numerous consumer applications. The creative opportunities alone make flexible circuits an exciting addition to the electronics manufacturing landscape. But, even more important is they also come with many cost savings advantages without losing performance. It’s possible to focus just on the product possibilities of flexible circuits and see how advantageous this technology can become. However, some of the most exciting attributes of flexible circuits from a manufacturer’s perspective are in the capabilities and cost savings they can present in the production process. Flexible circuits can be used to create incredibly complex products but, because they may require fewer interconnects or connectors, they may be more efficiently and cost effectively produced than traditional printed circuit boards. The reduced number overall number of interconnects required, means fewer solder joints, connectors, and contact crimps. With fewer interconnects there will be fewer potential sources of failure resulting in improved reliability and an overall lower environmental impact. Additionally, the weight reduction and flexibility of the circuit improves vibration and shock performance. Additional cost savings come specifically in lower assembly packaging and materials, which results in lower shipping costs. Again, these all also contribute to lower environmental costs. With fewer overall components, assembly and installation are both streamlined alongside fewer materials, to begin with. Plus, the flexible circuits are typically more reliable than more ridged printed circuit boards, which means fewer replacements, reorders, and overall, longer lasting products. Finally, flexible circuits provide tons of packaging options, where traditionally printed circuit boards simply cannot compete. With the ability to maintain performance when bent tightly or curled, a flexible circuit can use space much more efficiently than its predecessors. 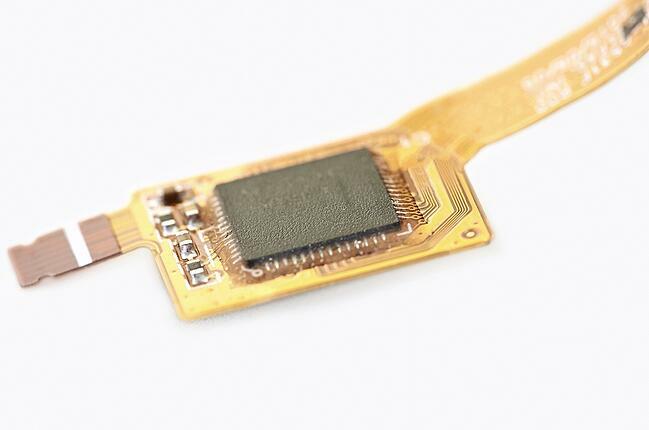 They can fit where other circuit boards could never fit and can reliably replace multiple printed boards, connectors and other components with a single flexible circuit. If you’re still carrying a metaphorical boombox around on your shoulder, it might be time to take a look at how flexible circuits can benefit your electronic products. When an option for a lighter, cheaper, more versatile and reliable option is available, you owe it to your products to see how much value you can add with by transitioning to flexible circuits. 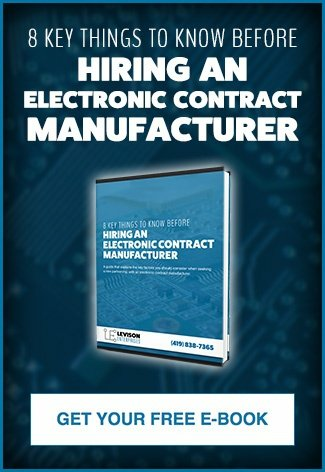 At Levison Enterprises, we are excited to offer flexible circuit technology as a way to enhance the quality and cost savings for each of our partners. We always want what is best for you and your product and it’s very likely that, with the range of options presented with flexible circuits, we can find one that can dramatically improve your product’s bottom line. The Levison design team will work with you to determine available cost savings, performance improvements, and creative options to increase your product’s return on investment using our range of manufacturing processes, including flexible circuits. Whether you are designing a new product or want to improve on one you already have, let’s discuss ways to make it more reliable, cheaper, and lighter using flexible circuits. We loved the 80s too. But let’s ride the wave of faster, more reliable and less expensive electronics together. Contact Levison Enterprises today.